MLS# 180058087 - 7630 Road To Singapore, San Diego, CA 92127 - Abacus Properties Inc.
JUST REDUCED AGAIN! VIEWS VIEWS VIEWS! Enjoy unobstructed views of the 5th & 8th Holes of the Crosby Golf Course adjacent to Rancho Santa Fe. One of a handful of homes built in the Crosby by well known builder, Greg Agee. So-Cal Luxury living at its finest. Spacious Chef’s Kitchen contributes to the seamless indoor-outdoor living, perfect for entertaining. This move-in-ready home has a large back yard with plenty of grass, privacy, pool & spa builtin BBQ and large covered living space off the Family Rm. 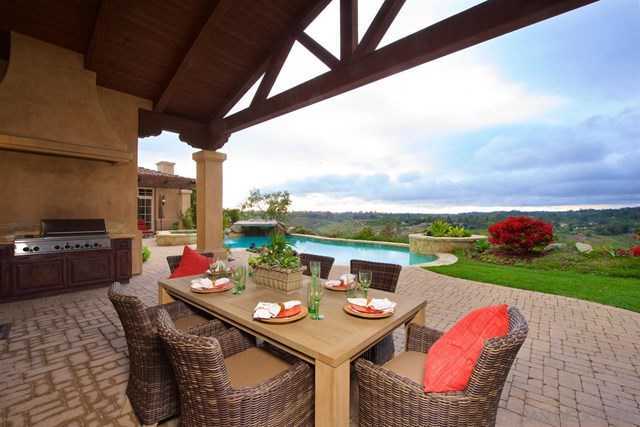 I would like to schedule a private showing for this property: MLS# 180058087 – $2,539,000 – 7630 Road To Singapore, San Diego, CA 92127.